What do kids of the OC do after school? They head up to Santa Monica to interview the talented masterminds being Activision of course! We love technology in our home. It is incorporated in our kids new school and our daily life at home. Although, technology plays a big role in the lives of my kids - I still make a conscious effort to limit their screen time. While at a blogging conference two years ago, I brought home my first Skylanders. Honestly, we had no idea what it was so it became a bath toy. For over a year, the Skylanders would have battles every night in the bath with my kids until the kids learned they had a more higher power at school one day. We dried off the Skylanders and to our surprise - they still worked on the game console. Since my kid are limited to playing video games on weekends (and only 30 minutes each day) they use their time wisely. My little one Tyler has become a Skylanders lover!! Skylanders is his #1 choice to play during his video game time. The visit to the Activision headquarters offered the kids more than just video games, but a chance to learn more about the company. The got a chance to learn how the video game is made, and all the work that goes into making the Skylanders video game. 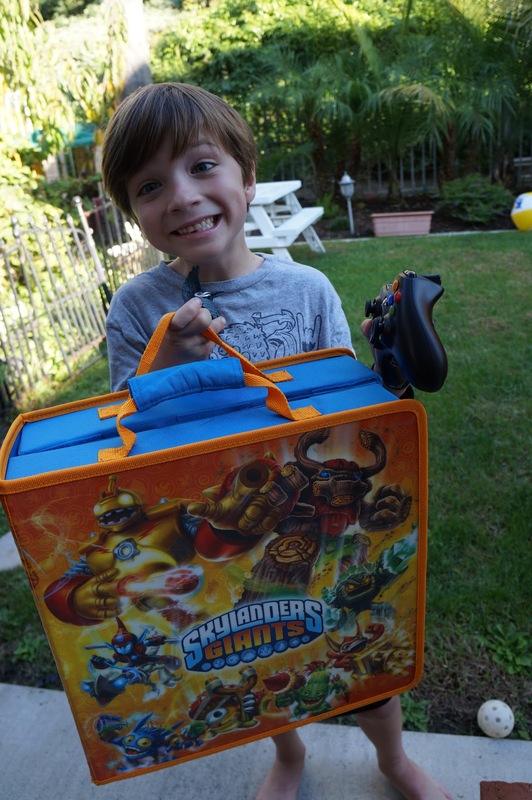 Then it was time to test out the new Skylanders Giants video game. The kids were able to get insider tips from the creators while playing with the Giants for the first time. 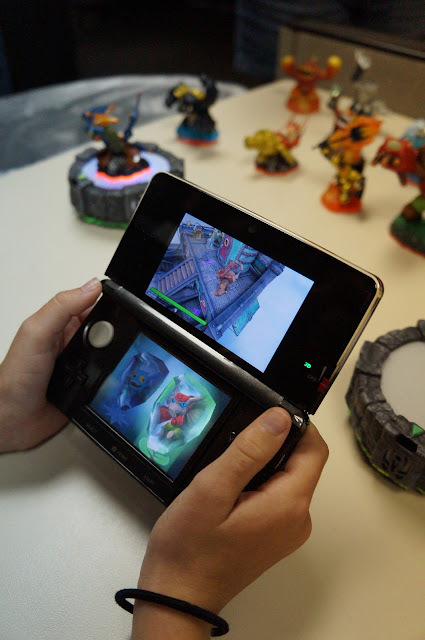 The Skylanders Giants are expected to be one of the #1 toy sales this holiday season. Why? Because they are more than just a video game. Kids have a chance to play with the Skylanders on the screen and off. They can have imaginary play with the creatures when they are not playing the video game. Skylanders Giants are a favorite of my son Tyler. He loves playing with his Skylanders Giants on the game and all around the house. He even brings his Giants into the garden to play. If Skylanders Giants are on your kids Christmas list, I highly recommend stocking up before Black Friday. Disclosure: We were offered a tour of the headquarters and a game from Activision. All our photos, thoughts and opinions are of our own. Loved reading this post. I am a teacher and very interested in bringing my students on a trip there. Would be possibly be able to pass along some information on how you set this up? Thanks so much in advance. A very stylish replica watch, this is a great gift.replica breitling watches It looks very sturdy and it has a certain weight.replica breitling avenger watches Here are some tips for buying replicas, and we're sure it has a high quality and look.